BWMEG & JSSB to host a night of laughs followed by a day of great food, drinks and music on June 3rd and June 10th respectively. FREDERICK, MARYLAND, USA, May 30, 2017 /EINPresswire.com/ — Coming in consecutive weeks this June, Big Woods Media & Entertainment Group and J. Smith Entertainment are bringing top-notch entertainment to the Four States region. Following the next weekend on June 10th, 2017, the Frederick County Fairgrounds will host the inaugural Maryland Music, Crab & Wine Festival. The event will combine some of the DMV’s best music talent along with a feast for the ages in a fun-filled environment. Entertainment includes the Chuck Brown Band, the Earth, Wind and Fire Tribute Band, Secret Society, Be’la Dona, and the Marcus & Marcus Jazz Band. More information about the inaugural Maryland Music, Crab & Wine Festival at: https://wineandcrabfestival.com/ — including what is and is not allowed at the fairgrounds. marketing, business affairs, media training, and creative direction. Becky Claffy of Claffy Consulting & Business Services partners with Fortune Real Estate in Bradenton, FL. BRADENTON, FLORIDA, USA, May 30, 2017 /EINPresswire.com/ — Claffy has specialized in commercial banking and finance for over 20 years in the Florida market. With her addition to our team, we are able to add an important resource to assist our clients in receiving the very best loan products available in our complex industry. Fortune Real Estate provides outstanding service as we continue to connect buyers and sellers in the Manufactured Home Community and RV Industry. In this report, we analyze the Bus Line Transceiver industry from two aspects. One part is about its production and the other part is about its consumption. In terms of its production, we analyze the production, revenue, gross margin of its main manufacturers and the unit price that they offer in different regions from 2012 to 2017. In terms of its consumption, we analyze the consumption volume, consumption value, sale price, import and export in different regions from 2012 to 2017. We also make a prediction of its production and consumption in coming 2017-2022. At the same time, we classify different Bus Line Transceiver based on their definitions. Upstream raw materials, equipment and downstream consumers analysis is also carried out. What is more, the Bus Line Transceiver industry development trends and marketing channels are analyzed. 1. What is the global (North America, South America, Europe, Africa, Middle East, Asia, China, Japan) production, production value, consumption, consumption value, import and export of Bus Line Transceiver? 2. Who are the global key manufacturers of Bus Line Transceiver industry? How are their operating situation (capacity, production, price, cost, gross and revenue)? 3. What are the types and applications of Bus Line Transceiver? What is the market share of each type and application? 4. What are the upstream raw materials and manufacturing equipment of Bus Line Transceiver? What is the manufacturing process of Bus Line Transceiver? 5. Economic impact on Bus Line Transceiver industry and development trend of Bus Line Transceiver industry. 6. What will the Bus Line Transceiver market size and the growth rate be in 2022? 7. What are the key factors driving the global Bus Line Transceiver industry? 8. What are the key market trends impacting the growth of the Bus Line Transceiver market? 9. What are the Bus Line Transceiver market challenges to market growth? 10. What are the Bus Line Transceiver market opportunities and threats faced by the vendors in the global Bus Line Transceiver market? 1. To provide detailed analysis of the market structure along with forecast of the various segments and sub-segments of the global Bus Line Transceiver market. 2. To provide insights about factors affecting the market growth. To analyze the Bus Line Transceiver market based on various factors- price analysis, supply chain analysis, porte five force analysis etc. 7. To track and analyze competitive developments such as joint ventures, strategic alliances, mergers and acquisitions, new product developments, and research and developments in the global Bus Line Transceiver market. Elevators and escalators are vertical transportation devices that help move people and goods easily and efficiently within a building. An elevator is a type of vertical transport equipment that efficiently moves passengers or goods between stories of a building, vessel, and other structures. Electric motors power these elevators. An escalator is a moving staircase or a conveyor transport equipment that moves passengers between stories of a building. Escalators include moving stairways and moving walkways. They include moving stairways and moving walkways. They are installed in commercial buildings, residential buildings, mixed-use buildings, education buildings, public transportation, healthcare, IT parks, hotels, restaurants, and retail outlets. They are also installed in parking areas to optimize the use of space. The report covers the present scenario and the growth prospects of the elevator and escalator market in Germany for 2017-2021. To calculate the market size, the report considers the new installations, modernization, and maintenance services market. 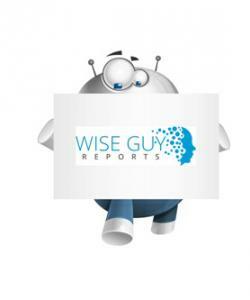 The Elevator and Escalator Market in Germany 2017-2021, has been prepared based on an in-depth market analysis with inputs from industry experts. The report covers the market landscape and its growth prospects over the coming years. The report also includes a discussion of the key vendors operating in this market.